15 DIY Easy And Creative Makeovers For your Room | CurrentBuzz! 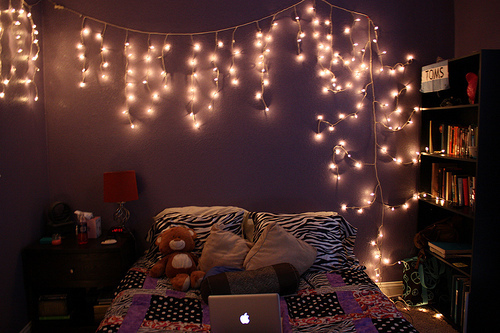 You can wrap fairy lights around the curtain rod, a canopy of your bed or even on the walls! 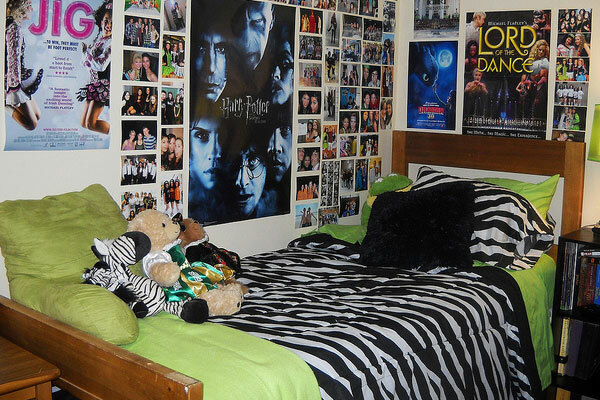 Putting up different posters of vintage movies or even your favorite can add a different look to your room. Make sure that the posters are of right size and do not make the room look small. A small and chic black board with various things written on it or loaded with polaroid memories add the fun element in the room. Add a colourful pastel shade bunting to your room which brightens up the room subtly without making the room look gaudy. Yes! 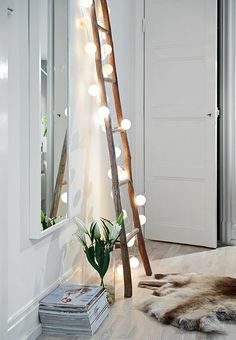 although the idea of keeping a ladder seems peculiar, you can paint this ladder in rustic colour, pop shades and use it to place different things on it! If you have enough space and don’t know what do do with space, then this is the perfect decor. 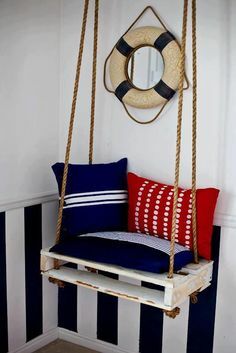 You can make the swing look raw and rustic and simple by the following the basic mechanism of rope and swing seat. Make sure you simply add colourful cushions to pop the swing corner. 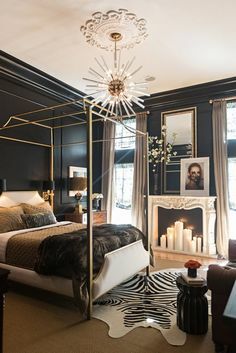 If you are creating a faux fireplace, then mostly you wouldn’t need any other decor in your room. All you need is a simple facade of the fireplace and some electric tea light candles to complete the masterpiece. You don’t need a canopy to hang a mosquito net. 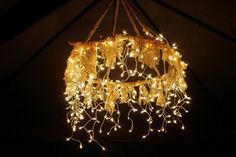 You can decorate the net by adding some embellishments fairy lights etc. 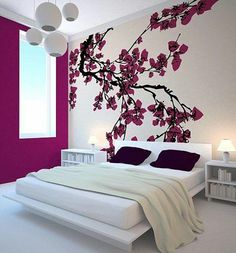 Wall decal, also known as wall tattoo, can add a zing to the room. There are various designs and quotes available or you can also customize your own wall decal. 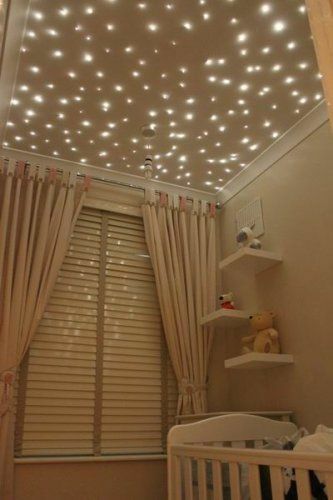 You can either paint the ceiling with radium paint in the for of constellations or you can also go on to create a false ceiling with fairy lights and create your own starry night. 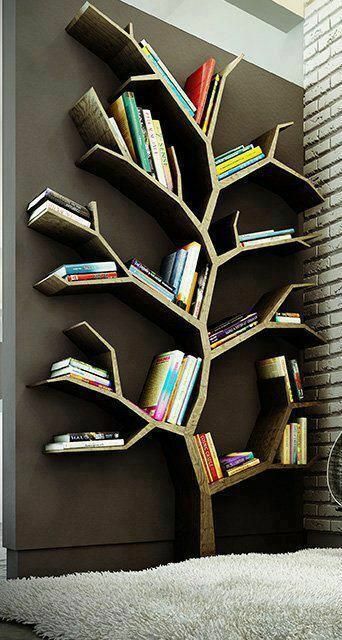 This unique and creatively shaped bookcase is absolutely mind-blowing and treat to eyes. 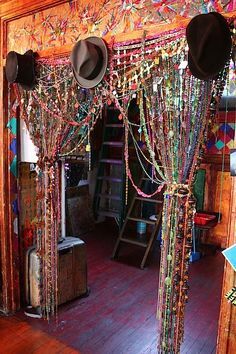 Add bling to your room with a variety of bead curtains readily available or create your own bead curtains. You can use washi tape or even paint a pattern on your door. You can go for aztec. 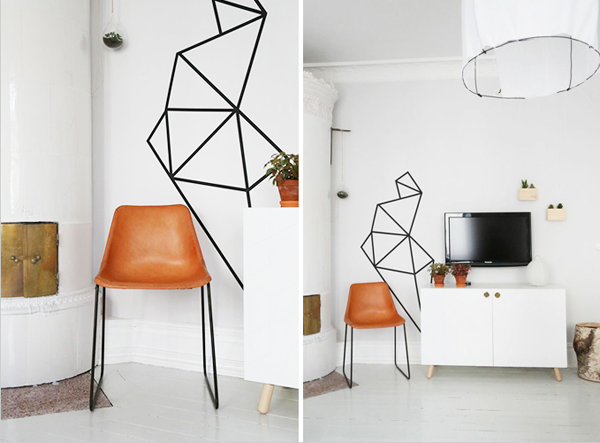 One of the coolest DIY room decor which you can do in a couple of hours! 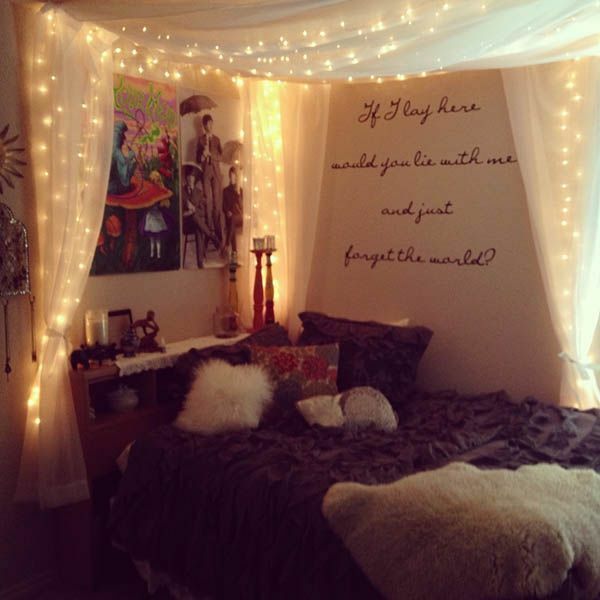 All you need to do is paint hula hoop, wrap fairy lights around it and hang on the ceiling! 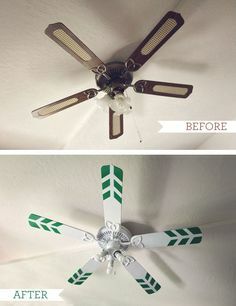 Another fun DIY which will brighten up your room for sure is to create a pattern on your ceiling fan with the help of patterned tape or washi tape. Hi there friends, its impressive post concerning tutoringand entirely explained, keep it up all the time. Together with the whole thing which appears to be developing within this specific area, your perspectives tend to be very refreshing. Nevertheless, I am sorry, but I do not give credence to your whole idea, all be it exciting none the less. It looks to everyone that your comments are not totally validated and in fact you are yourself not really wholly certain of the argument. In any case I did take pleasure in examining it. whoah this weblog is wonderful i love studying your articles. Stay up the good work! You realize, lots of persons are hunting around for this information, you can aid them greatly. I¡¦ve read several good stuff here. Certainly worth bookmarking for revisiting. I surprise how a lot effort you set to make one of these fantastic informative website.